It's hard to pinpoint the best time ​to visit Los Angeles. Like every place, it has good and bad points for every season, but there's always something you can do in L.A. Generally, the best time to visit Los Angeles is March through May when there are fewer crowds, pleasant temperatures, and generally good air quality. Los Angeles weather varies a lot, sometimes just across town. Summer may be unbearably hot inland and just right at the beach, on the same day. In early summer, the beach areas can be foggy all day long. Smog levels are improving, with ozone levels far lower than they were in the mid-1970s, according to the Air Quality Management District. The air tends to be worse in summer than in winter, and any time of the year, it's better at the beach. In autumn and early spring, wind patterns sometimes reverse, blowing toward the ocean instead of away from it. It creates very dry (and occasionally hot) "Santa Ana" conditions which are especially uncomfortable for people with allergies. The ocean is colder than you might imagine all year long, reaching its warmest (68 degrees Fahrenheit) in August, cooling down to around 60 degrees Fahrenheit in winter. Most of the rain falls in the winter. That doesn't mean it's going to rain every day, but you may encounter as much as a week of rain without a significant break. April and October have the clearest skies and moderate temperatures. Skies are often crystal-clear right after a winter rain, especially if it's cool the next day. A large city like L.A. always feels like it's full of people, but the most popular Los Angeles sights are overrun with tourists during the summer months, whereas crowds taper off in the fall. Winter brings more visitors who want to escape the cold weather where they live, but January through April are the least-busy months, tourist-wise. Meanwhile, Disneyland and other theme parks are busy any time kids are out of school, at Thanksgiving in late November, and especially around the end of the year. A few big annual events in L.A. draw so many people that they can disrupt your plans. Pasadena gets busy for the annual Rose Bowl Parade, held on January 1, whereas the LA Marathon in late March also closes a lot of streets. It could take weeks to see everything in L.A. Add a few fun tours, spend a day at the beach, and go on a couple of day trips and it could take well more than a month to do it all. Sadly, the average visitor stays less than a week. You may have even less time than that, so some prioritizing is essential. If you have a weekend, you can visit just one area, or a choose a theme for your trip like visiting the beach towns, going to museums, or spend a few days paying tribute to the movies. 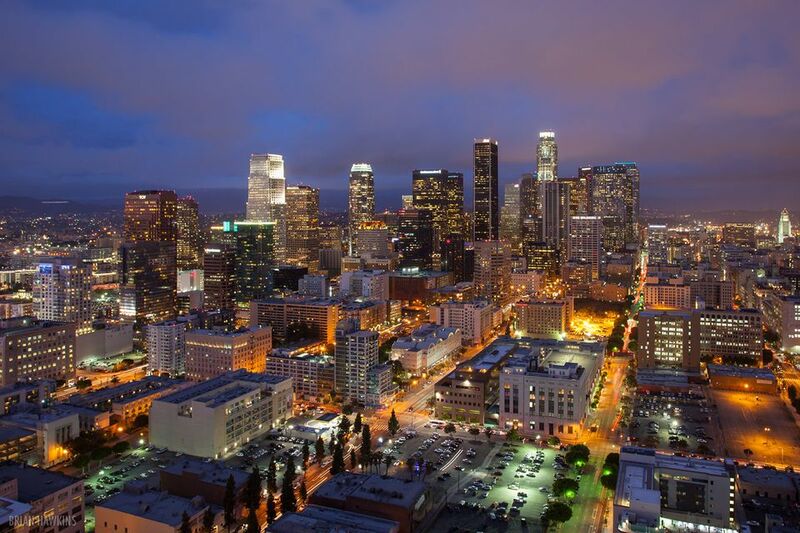 You could spend an entire weekend in Downtown LA and have items left over on your to-do list. You could also focus on the arts and have more than enough to keep you busy. If you have three or four days, add a side trip. If you want to relax, head to Catalina Island, or consider another day trips from Los Angeles. You'll also have time to visit a museum or get in some quality people-watching in Venice Beach. If you have five to six days, take another side trip or two. Take a day off to go shopping in the downtown Fashion District. Take in a baseball game or a basketball game. Enjoy a night at the theater, or just hang out on an exciting street corner and watch all the goings-on. January brings pleasantly mild weather to L.A. with tons of fun events to check out as well. You'll have about 10 hours of daylight in January. Normally, the massive Rose Bowl Parade takes place in Pasadena on January 1, with one exception: When January 1 is a Sunday, the parade happens on January 2 instead. Chinese and Vietnamese New Year often kicks off in January, bringing tons of colorful and festive events to L.A. The weather can be rainier than usual in February, but it's still quite pleasant, temperature-wise. If you get caught in the rain, it's a great time to enjoy some of the city's best indoor attractions, like world-class museums. The Academy Awards are held each year in February, but they're not just for the stars: You can register online for bleacher seat access. Flowers start blooming in March in L.A., and while spring break weeks can be crowded, it's generally a great time to visit. Most years, March brings along dry and sunny weather, although occasionally winter's rains will carry over. The Los Angeles Marathon course runs 26.2 miles from Dodger Stadium to the Santa Monica Pier. Even if you're not running, the race brings crowds to town, so beware of street closures and booked hotel rooms. March is California poppy season. It's worth the drive out to Antelope Valley Poppy Preserve to see the incredible blooms in action. April's average high temperature is a pleasant 71 degrees Fahrenheit, and it's typically dry and sunny. Bring a jacket if you'll be near the ocean, as it can be much cooler. Fiesta Broadway is the country's largest Cinco de Mayo celebration, a street fair that takes over blocks of downtown L.A. Despite Cinco de Mayo's May 5 date, Fiesta Broadway is always held in April. Baseball season kicks off in April, making it a great time to catch a Dodgers or Angels game. May in L.A. is dry, with loads of sunshine and minimal rain. It's a great time to visit before summer's tourist crowds peak. The Amgen Tour of California, a multi-day bike race like the Tour de France, usually ends near Los Angeles in May. Blue whales begin migration in early summer. "June gloom" means gray fog overtakes the city, especially during the early mornings. Despite the coastal fog, there are still plenty of warm and sunny days, and tons of tourists as kids are out of school for the summer. The biggest gay pride celebrations take place each June. West Hollywood is perhaps the best-known party, with a whole roster of festivities that include a parade. The L.A. Conservancy hosts a series of classic film screening in downtown L.A.'s historic theaters. Many aren't open to the public at other times. July's weather is balmy and sunny, making it a great month to spend as much time outdoors as possible. The city has plenty of popular outdoor events, like film screenings and concerts. Both Disneyland and the Hollywood Bowl host impressive fireworks displays on July 4. August in L.A. is warm and clear—a significant departure from June's gloomy days. If you visit then, you're likely to have cloud-free, sunny skies with little chance of rain or fog, but it can be hot further inland. The International Surf Festival is held in four cities along the coast: Torrance, Hermosa Beach, Redondo Beach, and Manhattan Beach. Like August, September is still warm and dry with the added benefit of smaller crowds, since kids have gone back to school. The Los Angeles County Fair is among the largest in the state. It runs all month. The L.A. Street Food Fest takes place in Santa Anita Park, bringing the city's best gourmet food trucks to one place. While Los Angeles' traffic never subsides, luckily the summer heat does. October is much cooler than the preceding months, with fewer crowds. Halloween is a big deal in Los Angeles, with multiple events and celebrations taking place everywhere from Disneyworld to Universal Studios. November kicks off L.A.'s rainy season, but don't expect stormy days until January. Temperatures are still enjoyable, hovering around 75 degrees Fahrenheit most days. Gray whales migrate in November and are usually visible from L.A.'s coastlines. Pasadena hosts the Doo Dah Parade, a quirky event that feels like a small town's street parade. All of L.A.'s major tourist attractions are packed with people in December, but it shouldn't stop you from visiting, as Christmastime is filled with plenty of fun things to do. The Los Angeles Zoo hosts an evening attraction called Zoo Lights, illuminating the zoo's lanes and trees with tons of colorful lights.